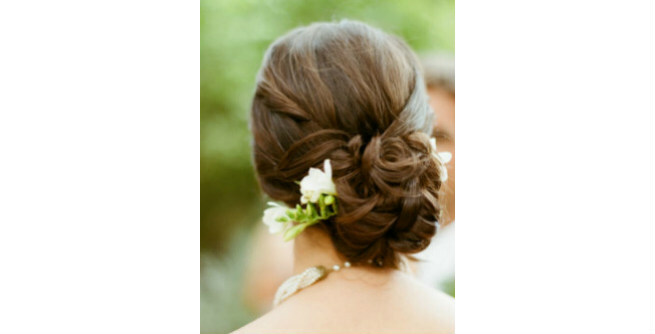 This is what we call a chic yet elegant wedding hairstyle. Tease the hair at your crown and smooth it up. Then, curl and twist rest of the hair and form a loose bun by taking small sections at a time. Let it embrace the nape of your neck and adorn with some dazzling accessories. Soft and luscious curls can always make a bride look ravishing. If you want to sport this beautiful half up curls, get your long hair curled up first. Back comb the top to give it a decent volume and turn half of your hair into a ponytail. Wear an ornamental hair band and leave rest of the curls loose. 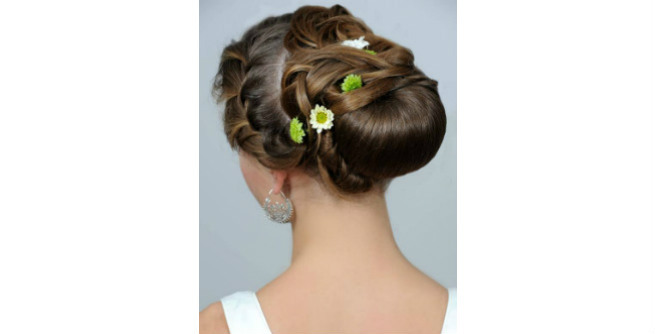 Braid is one of the best options for wedding hairstyle and you can easily jazz it up with some amazing decorative pins. 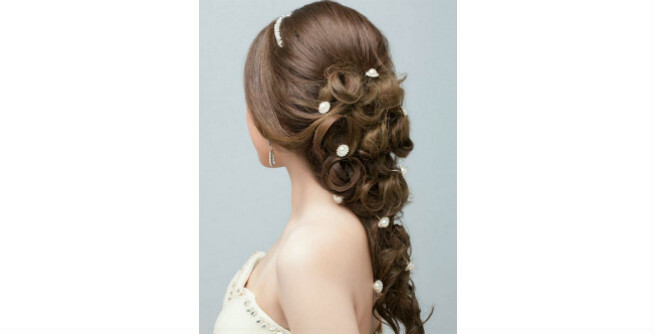 In this romantic hairdo, the simple loose braid is turned into a glamorous one by securing gorgeous curls on it at different places with the help of embellishing pins. 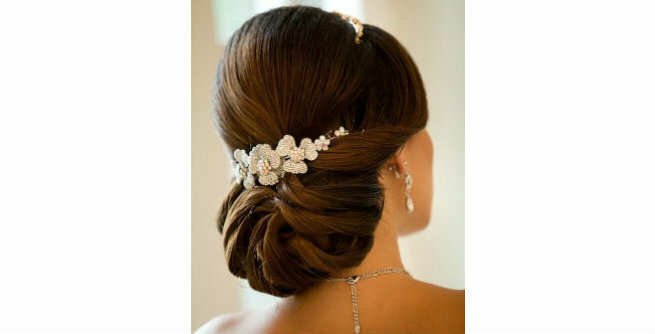 A classy updo has long been considered as the most traditional bridal hairstyle. Here, we have shown you how to give that a trendy twist. You have to create intense curls to sport this style. Just twist them into a bun at the middle of the back of your head and beautify it with a unique hair brooch. A braided half updo is certainly a time-consuming one. But your wedding is going to be a once-in-a-lifetime-event for you, right? So, just go for it. Turn the hair at the back of your head into a half updo and position it at the center of your head. 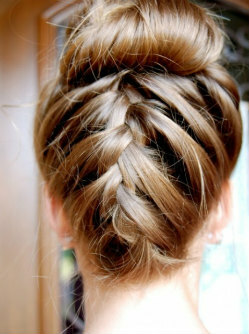 Braid the hair of the frontal part and embrace the half updo with it. Finally, decorate it with some flowers. 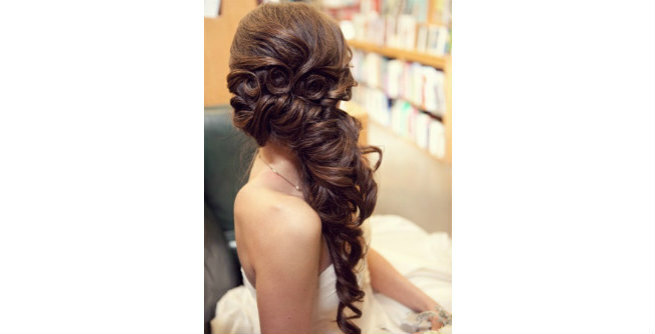 How about this amazing waterfall twist for you bridal look? All you need to do is create beautiful waves in your hair and then style it up according to a regular waterfall twist. You can even add a zing to your look by adorning your hair with some trendy hair accessories. Chignon is all in rage these days. Hence, this trendy twisted style can definitely complement your round or oval face shape with long layered hair on that very special day. Start with making a low chignon at one side of your head. Then, braid the hair in front of your head at the other side and twist it back. 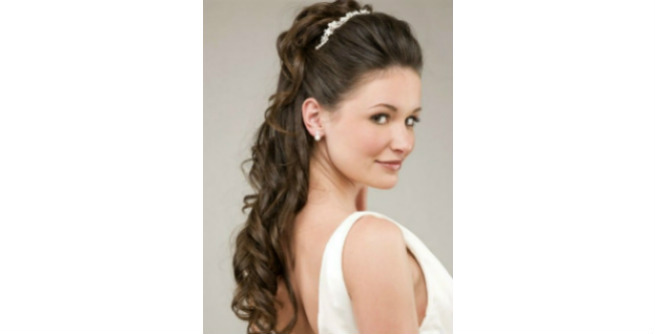 If you have extra long hair, this sophisticated ponytail will glam up your look on your wedding day quite a few times. At first, create a simple ponytail at one side of your head. Curl and twist the loose hair around your head and secure them on the top of the ponytail with attractive hair pins. This is a super easy hairstyle that would help you look elegant and show off the beautiful neckline of your bridal gown simultaneously. Simply braid up your hair and turn it into a top knot carefully. 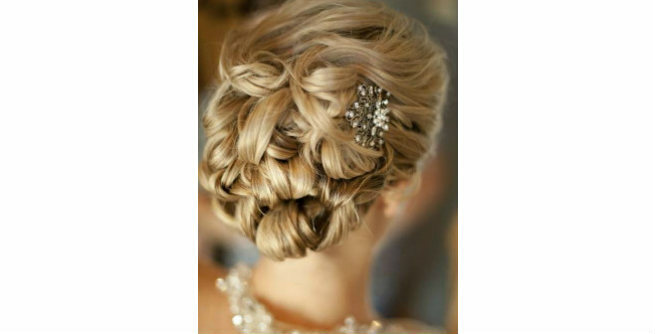 If you are a blonde with wavy hair, keep it loose on your wedding day and bedeck it with a braided headband. Your natural waves will look extremely gorgeous this way and you will literally become the center of attraction on that special day.